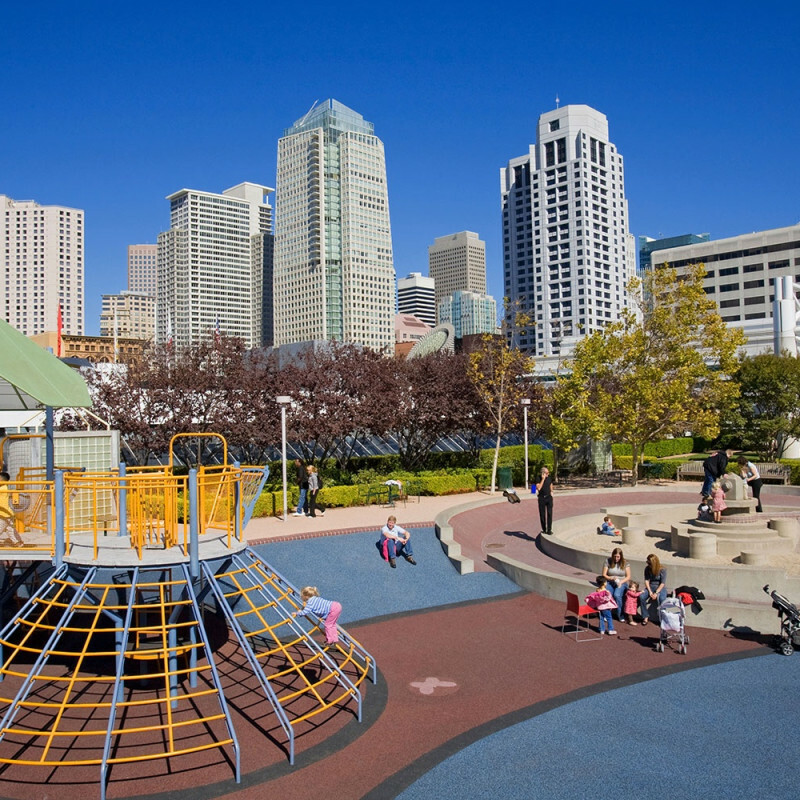 At downtown San Francisco’s Yerba Buena Gardens, steps away from the Children’s Creativity Museum and the beautifully restored 1906 LeRoy King Carousel, awaits the rooftop Children’s Garden. Thrill-seeking tots will love flying down the 25-foot-long tube slide and getting lost in a labyrinth, while others may prefer pounding on the xylophone, running through water fountains, or climbing up the jungle gym. An outdoor amphitheater hosts family-friendly performances, and the nearby learning garden fosters budding green-thumbs with plant-themed classes, crafts, and story hour.